Hillary Chybinski: library of memories. . .
library of memories. . .
last week ( a few weeks late - but what the heck) i signed up for the Library of Memories Community over at Big Picture Scrapbooking. I must confess - I have NOT taken Stacey's class. . .however I have poured over her books from the moment they arrived in my house several years ago. I have implemented what I could - from both Photo Freedom and Big Picture Scrapbooking. It's working. I can find pictures, and my kids and family are enjoying my books. and I'm getting things scrapped - precious moments recorded. So I spent a good portion of yesterday afternoon and evening getting myself caught up in the community - there is some beautiful work displayed in the gallery over there - lots of great talent! 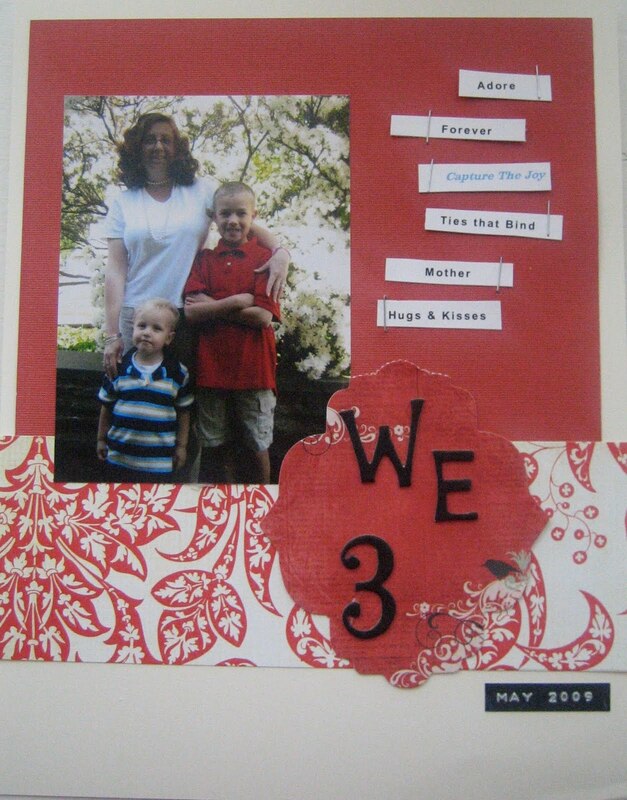 And I took the 1st Weekly Challenge. . .Red, White & You. . .a Storage Binder layout using Red & White and a picture of you. Here's my take - it came together in about a half-hour. I'm hoping to get week #2 and 3's challenges done this week. . .
are you in the community?